take some pics and post em up! 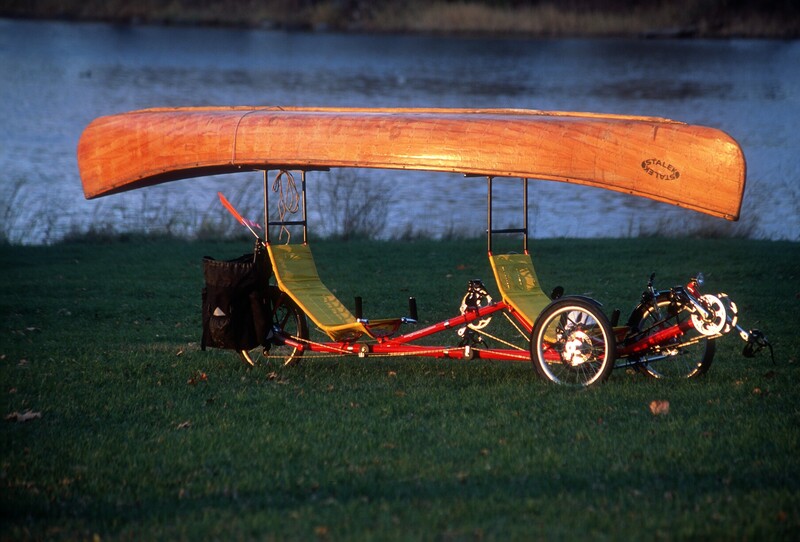 Check out this recumbent tandem bike with canoe! ha that should be interesting, give us a report back! well, time to get flung back into the gutter! yup! just got to traveling a bit again and am feeling fine now. I think I was just in withdrawals from freedom hahaha. Thanks so much for asking! not certain what to do now. Am in kind of a rut..
What happened to building your bunker? Oh I still could do it but I'm just generally confused by the dichotomies; I want to be stationary but also want to travel, I want to be around people but also people disappoint me, etc etc. Building the bunker is great while stationary but idk whether I want to be in one place right now or on the move. Thank you for posting The Third Industrial Revolution. That's the first exposure I've had. That's the first time - while I watched - that I've felt any hope since I was a much younger, much different person. Ha, I'm glad you enjoyed it. To be honest, I am completely in disagreement with the speaker - the idea of humanity being even somewhat weaned from fossil fuels in 4 decades is absolutely preposterous - but I thought he was interesting nonetheless. Anyone want to go to Iceland for a month in June? andy brandy what's your plandy? hope we cross paths somehow ! I don't know at all what's next. no clue. a lot on my mind but hoping I see ya soon! Yo, you're still alive, yeah? no, New York State. My hometown. Cannot get bike trailers and woodworking out my mind. Making more erratic changes.